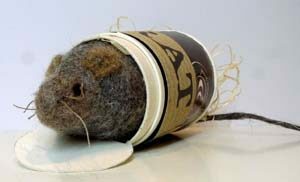 Rats (Rattus norvegicus) like most other organisms have their place in the food chain, they feed on virtually anything, clean up waste food, take our food, feed on birds eggs - almost anything they can find. They are a very successful pest, are intelligent and make good pets! Because of their fecundity, intelligence, omnivorous diet and ease of co-habitation with humans, they are difficult for us to control. Trapping is hard, laying a bait of poison is much more effective. But killing rodents with poisons just generates more problems. The barn owl (Tyto alba) has a basic diet of rodents, and they are very well adapted to catching them. If we can think of rats and mice as a food source for these superb birds then logic suggests we should control rodents not with poisons which are taken up by owls but use other means. Exclusion is the best strategy, remove food sources, deter with high frequency noise and if we need a poison use a non-toxic formula. 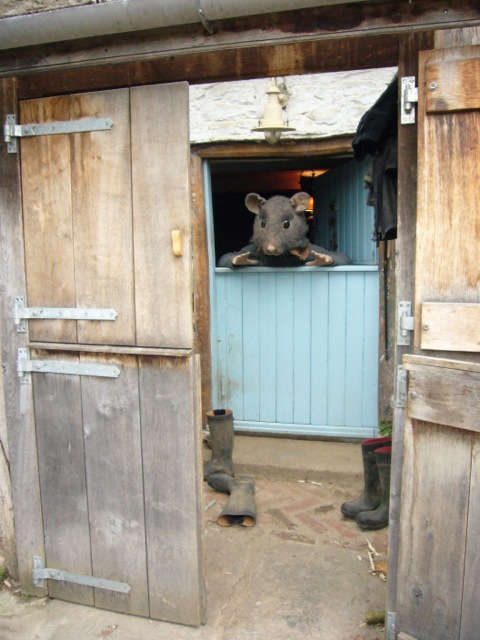 The Barn Owl Trust, recommend Eradibait, details at www.ilex-enviroservices.com. Do visit the Barn Owl Trust website, it’s a real education. 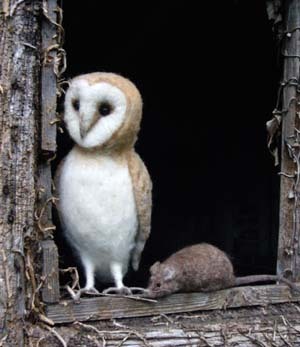 91% of barn owls now have rodenticide in the blood. In practical terms that’s as good as the entire population. This does demonstrate what a problem we have. 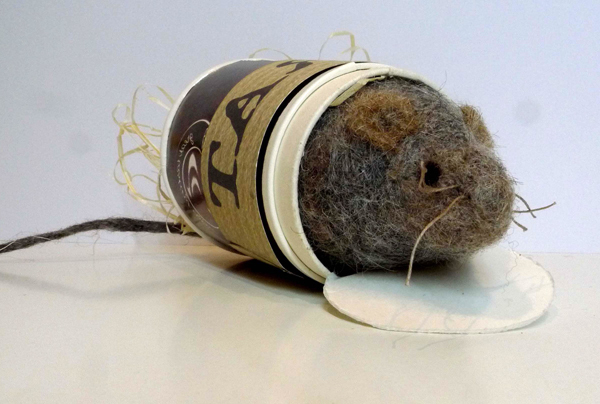 The gift is a hand-made felt rat made by Anne Belgrave, feltmaker and artist. It’s her way of highlighting the plight of the barn owl. It worked, I’m now a convert to harmlessly killing rodents and spreading the word! Apart from making the felt animals Anne also does performances using her felt animals as props, several are larger than life! Just ordered eradibait. after seeing the report. never have been a fan of normal rat bait. will trial. and if works will advise clients i work for re this product.